Paul Howard Musser was born the son of Cryus John and Hennetta Edith on March 27, 1892 in Bedford, Pennsylvania. He graduated from Mercersburg Academy in 1912 and attended Franklin and Marshall College for one year before matriculating into the University of Pennsylvania. Musser began to move up the administrative ladder at the University of Pennsylvania shortly after he earned his Bachelor of Arts degree from Penn in 1916. Starting as a reader for then-Vice Provost and professor of English Josiah H. Penniman, Musser soon progressed to the position of instructor in English and was elected assistant professor in 1924. 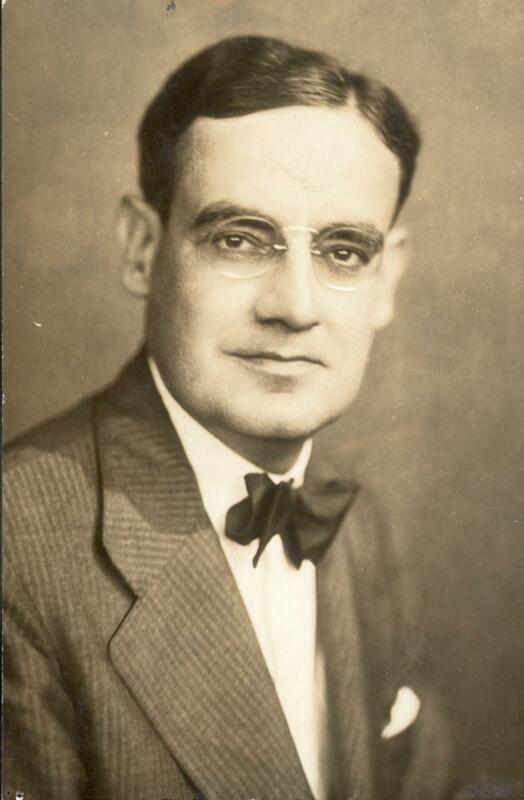 Musser, who married Mary Thaddeaus Carr in 1925, earned his doctoral degree in philosophy from the University of Pennsylvania in 1928 and was named Dean of the College of Arts and Sciences and director of the College Collateral Courses in 1929. Musser was promoted to Administrative Vice President of the University of Pennsylvania in July of 1939. During World War II, Musser held the important position as the chairman of the University Committee on National Defense which coordinated the University's war efforts. He served in that position under Thomas S. Gates until he became Provost on June 30, 1944. Musser served as Provost until July 1, 1951, when he was appointed Chairman of the University of Pennsylvania. Paul Howard Musser died on November 21 1951 - less than five months after being named Chairman. He was the father of one son, John Carr, and two daughters, Janet Anne and Virginia Ellen. In addition to his work at the University, Musser served on the boards of number of professional groups and educational institutions, the most prominent being Pennsylvania Association of Colleges and Universities, the Pennsylvania School for the Deaf, and the Franklin and Marshall College. Bertha Brossman Faust "Hawthorne's Contemporaneous Reputation"